With Special Guests Sara Batterby, CEO of HiFi Farms & Colleen O'Hara, Founder of Jayne Jobs Reserve My Spot About this Workshop: Have you been wanting to work in the cannabis industry but haven't cracked the secret code yet? Do you feel it's time to break out and start your own business? Or is it time to figure out how to move up the career ladder? Special guests Sara Batterby CEO of HiFi Farms & Colleen O'Hara, Founder of Jayne Jobs will point the way to success and give you their secrets on how to achieve your desired career outcome. Learn how to hone into the skills and resources you already have access to. Leave with tangible next steps and attainable goals. Bring your laptops, an action lab will follow. This workshop is for any woman who has considered breaking into the cannabis business and isn't sure how, women in any industry who are ready to break out as an entrepreneur or women who want to move up in their careers. Q&A & action lab will follow speakers, with current entrepreneurs, writers, designers and a woman owned staffing agency at hand to help you: - Work on your resume (and submit if you finish!) - Work directly on your new business ideas - Work on your career goals You will leave with actions you can take directly into the world and apply immediately. A portion of the proceeds from this event will go to Dress for Success Oregon. Hors d'oeuvres + a hot beverage will be served. This is a 21+ BYOC (bring your own cannabis) event. What is Tokeativity? 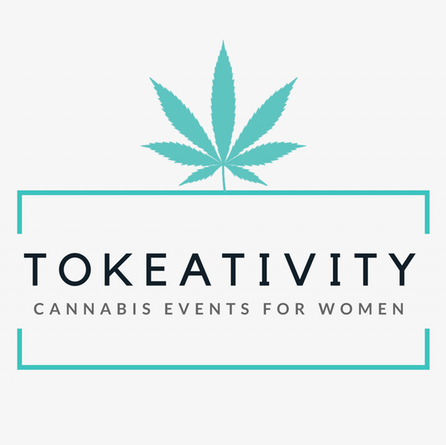 Tokeativity is a cannabis events series for women. Our intention is to nurture a safe space for women to create, learn and connect. Whether you are a first timer or daily consumer, all women are welcome to join. Join us for workshops, classes, music, guest artists, speakers, workshop leaders, networking, films and more. Cannabis consumption and sharing is encouraged to those who bring their own cannabis. Each event will donate a portion of it's proceeds to a cause we are passionate about supporting.